Dr. Ying Wang’s credentials | Chinese Acupuncture & Natural Therapy Center. Dr. Ying Wang, L. Ac., O.M.D. Dr. Wang earned his Doctorate Degree in Acupuncture at Liao Ning Traditional Chinese Medicine University in 1992. 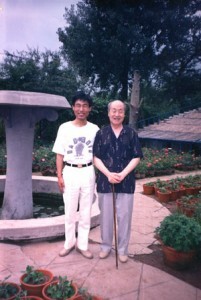 There, he studied under the internationally renowned acupuncturist, Dr. Peng Jing Shan. Dr. Wang became the Director of Tie Ling City Center Hospital where he received the Liao Ning Province Science Award for his work in therapy and acupuncture. He has success in treatment of stroke, as well as pain relief of soft tissue disease and disc back pain.